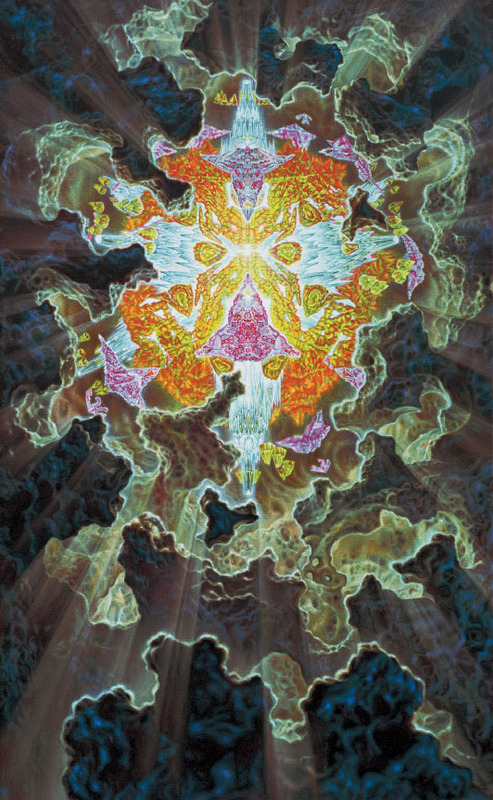 From Guy Aitchison's 1999 painting Lightform 4, featured in the book Organica. Print is 16x26" with a 1" colored border for mounting purposes. Archival for 125 years, signed by the artist. Also available in a smaller archival watercolor paper edition.